When you retain Jack Byno & Associates, Pelican Bay, Texas traffic ticket lawyers for a speeding ticket or other violations, they will post a bond, get a court date, appear in court for you, and workout the best deal available on your traffic tickets. After appearing in the Pelican Bay Municipal Court. We will send you a letter notifying you of the outcome, how much your court fees are, and when to pay them by. In most cases, our attorneys can work out a probation deal. Assuming you qualify for the probation and successfully complete it, the traffic ticket will not appear on your record. Our law firm can also help you with CDL violations and driver's license suspension hearings . Contact a traffic ticket lawyer to determine if you qualify for deferred adjudication in Tarrant County, Texas. Do You Have A Speeding Ticket in Tarrant County? Did you get a speeding citation from a Pelican Bay police officer? Do you need a lawyer to appear in court for you? The attorneys of Jack Byno & Associates can assist you with a Tarrant County speeding ticket. 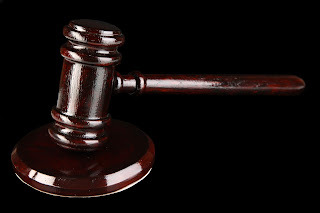 In most cases, our lawyers can appear in court on your behalf and get you a probation. The result will be the ticket will not appear on your driving record if you qualify for probation and successfully complete it. Contact me to discuss your Pelican Bay speeding tickets. Do You Have A Traffic Warrant in Pelican Bay, Texas? If you have been issued a speeding ticket that is in the Pelican Bay Municipal Court it is not too late to keep yourself from being arrested if you have allowed your case to go into warrant status. Traffic warrants in Pelican Bay should be taken seriously as the statewide warrant roundup is underway. The attorneys of Jack Byno & Associates can post bond and lift your Tarrant County traffic warrants. Contact a traffic ticket attorney to defend your Pelican Bay, Texas speeding tickets. Do You Have A CDL Violation in Tarrant County, Texas? Did you get a speeding ticket in Pelican Bay, Texas? Do you have a commercial driver's license ? If yes, you are a professional driver. The attorneys of Jack Byno & Associates know that your livelihood demands that you keep a clean driving record. We cannot make any promises or guarantees to the outcome of a case, but we have the experience to do our best to help you. Contact an attorney to discuss your Tarrant County trucking and CDL traffic tickets. Contact a Pelican Bay Traffic Ticket Attorney Today! I am Jack Byno, a Pelican Bay traffic ticket attorney that has been representing clients with traffic violations in Tarrant County, Texas since 1994. When you need an attorney with experience to represent you with your Pelican Bay CDL violations, speeding tickets, traffic warrants, or driver's license suspension hearings contact me .